The Cuisinart CBS-611 is the perfect picnic accessory that will make it easier to serve and clean-up delicious barbecued meals. 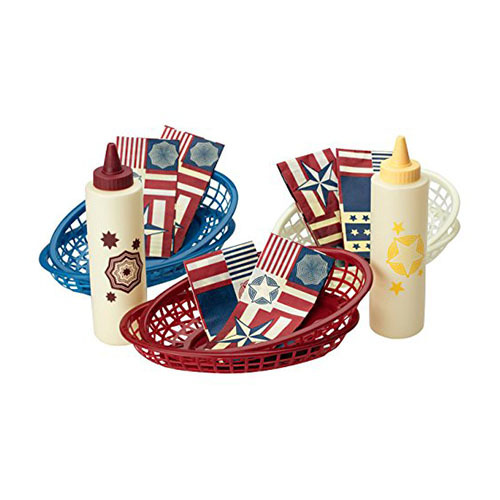 Paper liners feature patriotic stars and stripes that coordinate with the red, white and blue baskets. The baskets are red, white, and blue in color. The Cuisinart BBQ Basket Set has many exciting features for users of all types. 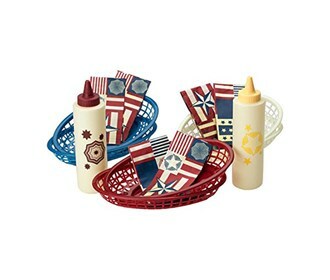 See the Cuisinart BBQ Basket Set gallery images above for more product views. The Cuisinart BBQ Basket Set is sold as a Brand New Unopened Item.